Oct. 12, 2015 — Scientists at the Children’s Medical Center Research Institute at UT Southwestern (CRI) have found that a microRNA responsible for preventing liver cancer formation can also compromise liver regeneration and, if present at even higher levels, can cause liver damage that results in cancer. 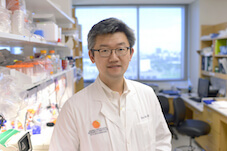 The CRI team also noted there are about a dozen, very similar let-7 microRNAs scattered across the genome, suggesting that the microRNAs work in tandem to achieve proper levels of let-7 to balance the need for regeneration against the need to antagonize cancer formation. This idea was supported by the fact that getting rid of a small subset of let-7 microRNAs could even accelerate liver regeneration. Read the study published in eLife.